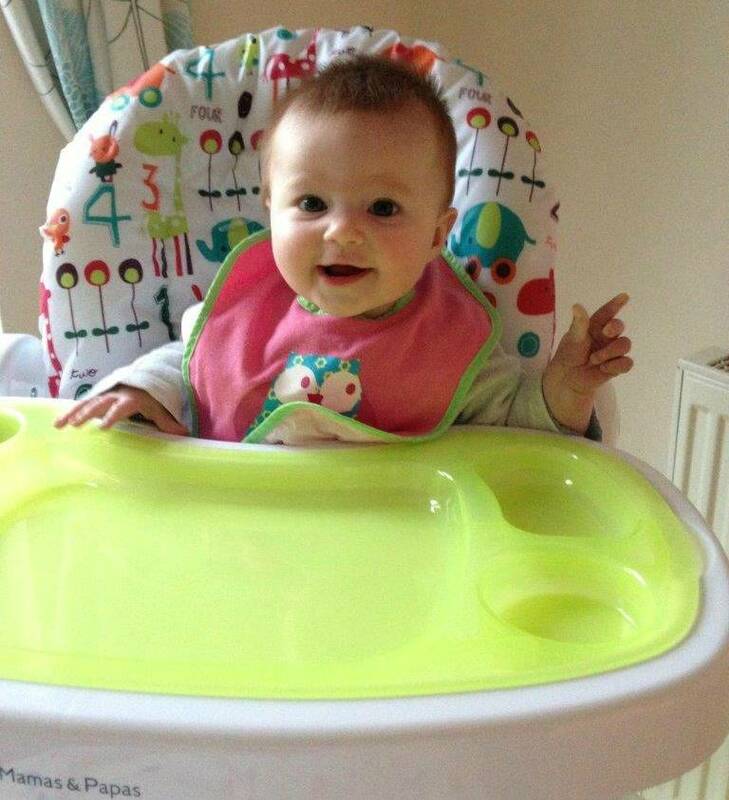 As part of my Looking Back Series, today I am talking about weaning Alice. Having now taken both my girls through the weaning journey, I thought I would share with you some of my top tips. I am not going to go into whether you should go down the puree route or baby-led weaning route, that is for you to decide which is best for you and your baby. You can read about what I did over on my Weaning and First Snow post. Be prepared, think about where you are going to feed your baby on a regular basis. Remember food gets everywhere. I used a splash mat on my floor, which I found great to use. Buy everything you need in advance, bowls, plates, spoons, bibs…lots of bibs. Decide which meal you are going to start with. I decided to start with lunch, as were normally home at this stage ready for nap time afterwards. Plus I read a lot about leaving dinner to last, as it can affect their sleep. Three weeks after starting the first meal, if it going well, start to introduce another meal. I moved onto breakfast, with a combination of cereal, toast and fruit. Just before Alice turned seven months I introduced dinner and she was having three meals a day. Babies still need their milk and the recommended amount is 21 ounces a day. I then gradually reduced this as Alice’s food intake went up until she was one. Ignore bad behaviour. This isn’t an easy one, but they are learning and if you ignore it, it tends to go away as quickly as it came. If they don’t want the food that you are offering, don’t worry just try again tomorrow. It can take up to twenty times of trying a new food before they like the taste. So, keep trying. I remember it took Alice ages to like cheese and now she loves it. Remember food is fun until they are one. Don’t put yourself under pressure and think they have to be eating three meals a day from the start, this takes time. They are still getting everything they need from the milk. I loved to watch both my girls explore their food. I did struggle with the mess, but I got over it and quickly realised it was all part of it. Alice is now three and half years old and is a great eater. We did go through a period when she was about two and half where she only wanted to eat certain foods and meals. But, this is all normal and isn’t really anything to do with food necessarily, as at that age they become hooked onto routine and things being the same. This just happens to include food, just carry on through doing the best you can during this period. It doesn’t last forever and your little one will soon be back wanting to try to new food. Alice loves it when she has something she hasn’t eaten before.